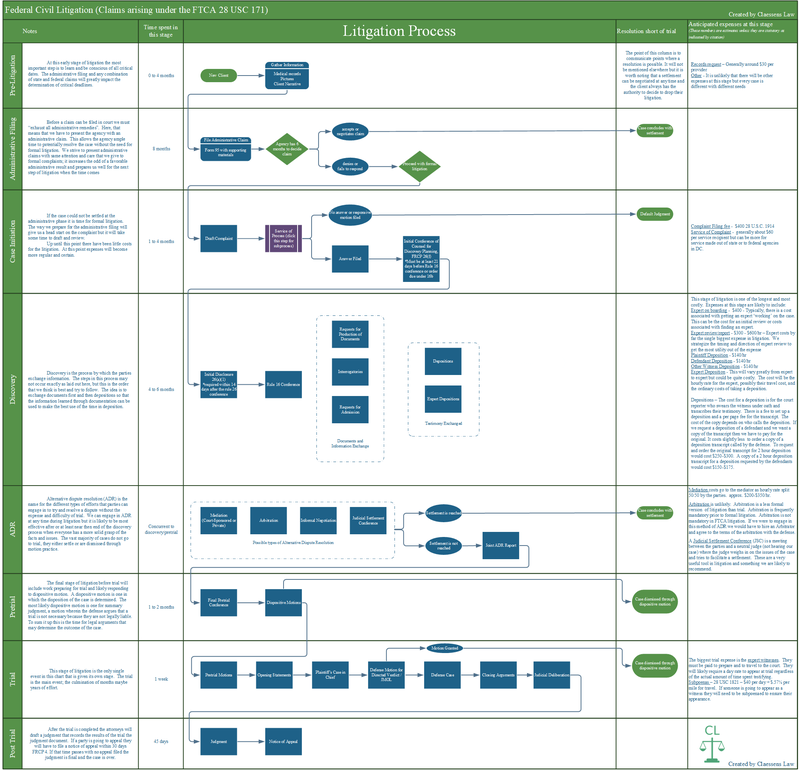 We use this flowchart to organize and prepare for federal civil litigation under 28 USC 171. The chart is very large because federal litigation is complicated. Click the image to expand or click download here for a pdf. The pdf includes an additional Service of Process sub-flow chart. We hope you find it useful.